Our Roasted Tomato & Veggie Soup is not only delicious but also so versatile. You can turn this soup into a meal in under 30 minutes. We made it three ways — perfect for the whole family! 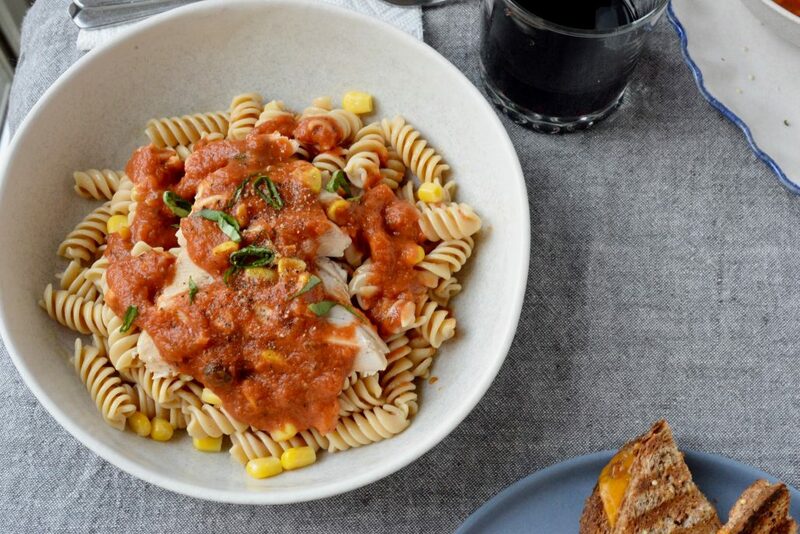 We used our soup as a tomato sauce and served it over our quinoa rotini with grilled chicken, corn and topped with fresh basil. This dinner staple is packed with flavor and nutrition. We put this together for a quick weeknight dinner and loved it. It’s perfect for dipping! We used our soup to make a healthier version of a classic combo. 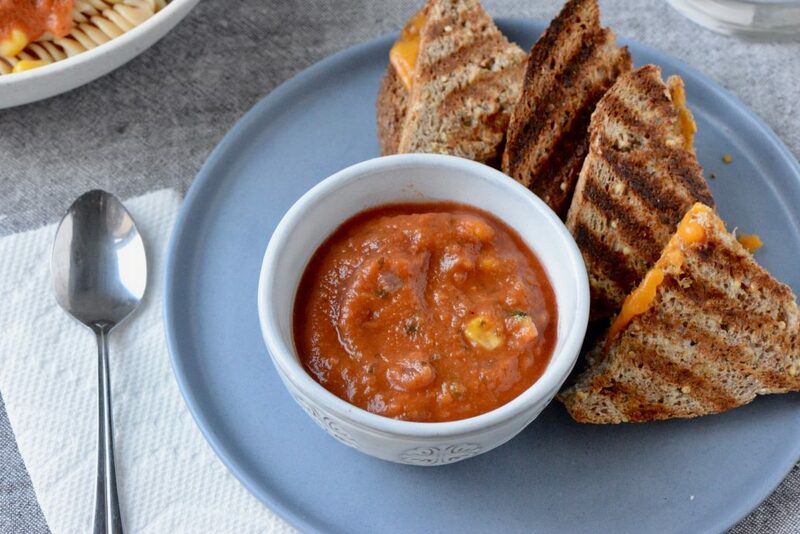 Served with grilled cheese, this is a great kid-friendly option. 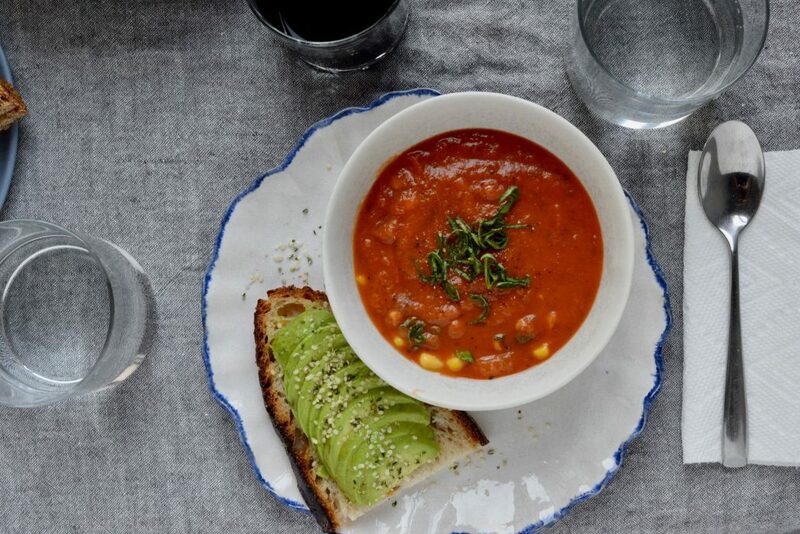 Avocado toast is another great side for our roasted veggie & tomato soup. We top our avocado toast with our Flax Hemp Chia Shaker for an added boost of nutrition. How Do You G&T? Share with us using #greenandtonic and follow us @greenandtonic for the latest from our kitchen!